Online applications are invited for the below mentioned posts. Indian Council of Medical Research (ICMR), Ministry of Health & Family Welfare (MOHFW), Govt. of India, Govt. of Madhya Pradesh and Sun Pharma (Reuters: SUN.BO, Bloomberg: SUNP IN, NSE: SUNPHARMA, BSE: 524715, Sun Pharmaceutical Industries Ltd and includes its subsidiaries or associate companies), today, announced India’s first public-private-partnership agreement for Malaria Free India and other innovation in preventive health. This was announced by Dr Soumya Swaminathan, Director General – ICMR, Principal Secretary Health Mrs. Gauri Singh Govt of Madhya Pradesh and Dilip Shanghvi, Managing Director, Sun Pharma as a unique effort to draw public – private sector collaboration in promoting preventive health measures. The publicprivate-partnership stakeholders will jointly undertake malaria control & elimination programme by setting-up Management & Technical Committees to provide oversight for disease surveillance & elimination. Following posts are to be filled up on purely tempo rary basis at the Medicinal Plant Division, ICMR Headquarters, New Delhi in the project “Review Monographs on Indian Medicinal Plants Phase- IV”and “Quality Standards o f Indian Medicinal plants”. The National Institute of Biomedical Genomics (NIBMG) is an Autonomous Institute of the Government of India , under the aegis of the Department of Biotechnology. This is the first institution in India explicitly devoted to research, training, translation & service and capacity - building in biomedical genomics. 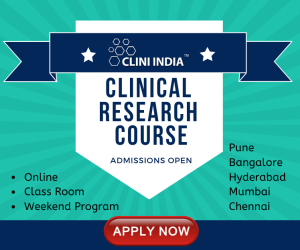 CLINI INDIA, a premier training institute in Clinical Research located at Somajiguda, Hyderabad for more than 7 years has been providing ethical and high quality Clinical Research Education. Presence of our campuses in across major cities like Bangalore and Pune makes us an unrivalled pan India institute to impart Clinical Research education par excellence. Our vision is to provide the excellence in education for professions, strategic and applied research and flexible delivery of learning and teaching methodology. Our mission is to enhance communities with national and international scholars and institutions with whom our staff and students are linked. 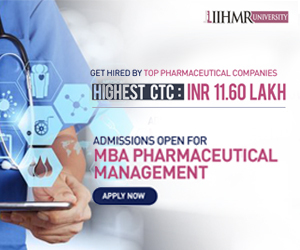 We deliver skilled, domain based life science resource in the various capacities of clinical research with multilevel of experience in the following areas:- Clinical Research and Management, Clinical Data Management, Pharmacovigilance, Medical Writing, Regulatory Affairs, Pharma Management. The Rajiv Gandhi Centre for Biotechnology (RGCB) is a growing phenomenon. Located in Thiruvananthapuram, the capital city of Kerala, RGCB began in 1990 amongst humble surroundings as a small charitable society called the Centre for Development of Education, Science and Technology (C-DEST). National Institute of Nutrition (NIN) was founded by Sir Robert McCarrison in the year 1918 as ‘Beri-Beri’ Enquiry Unit in a single room laboratory at the Pasteur Institute, Coonoor, Tamil Nadu.